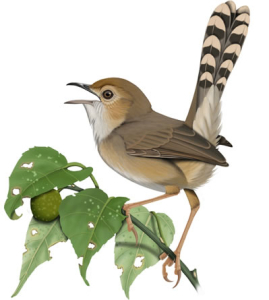 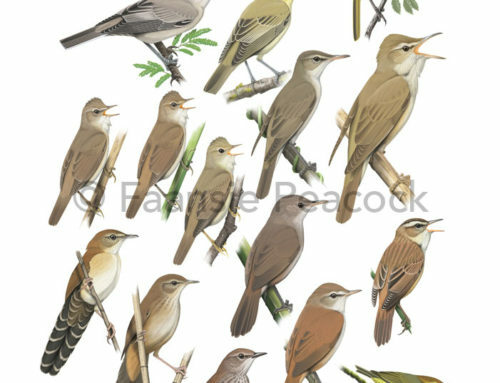 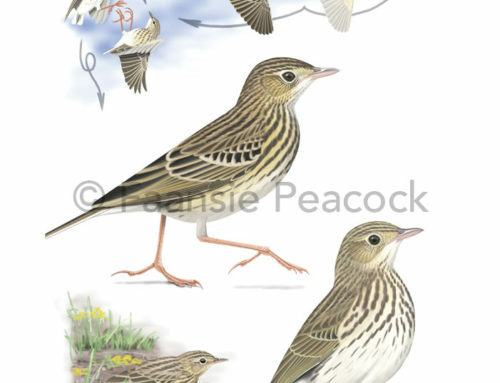 A member of the Cisticolidae family, the common name of the Barred Wren-Warbler Calamonastes fasciolatus was updated to avoid confusion with the unrelated Barred Warbler Sylvia nisoria (family Sylviidae) that breeds in Central Europe and winters in North-East Africa. 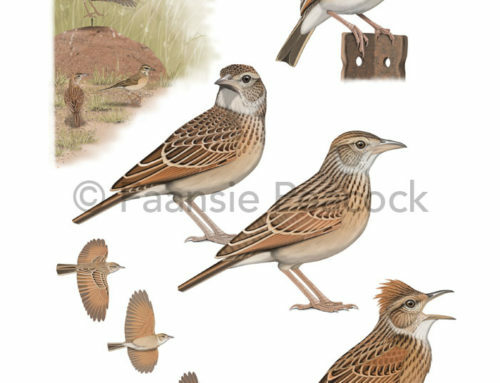 This attractive but furtive little insectivore is widely distributed across southern Africa’s arid savannas, and is particularly fond of dense thorny tangles where it keeps mostly to the mid-levels and understorey. 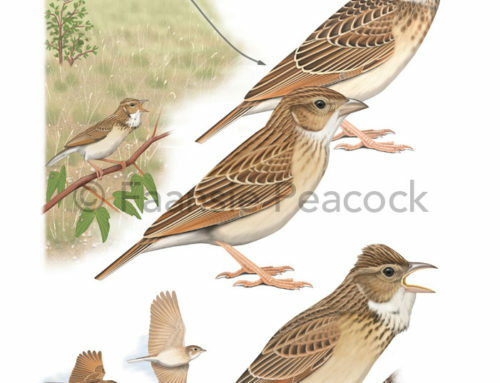 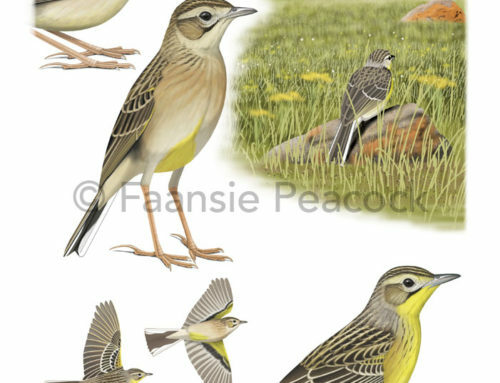 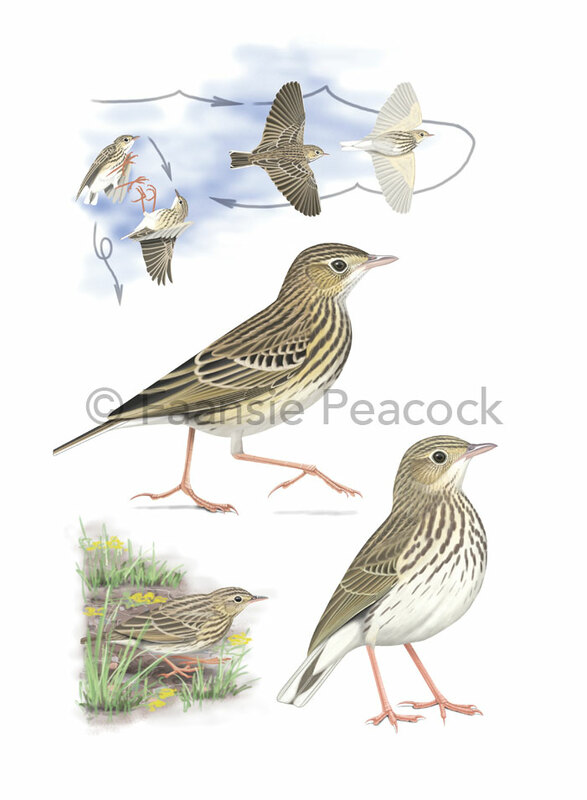 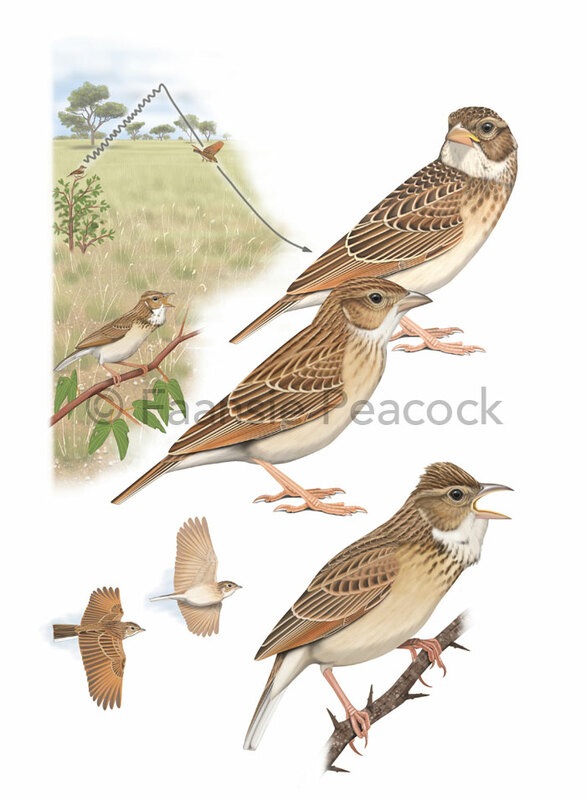 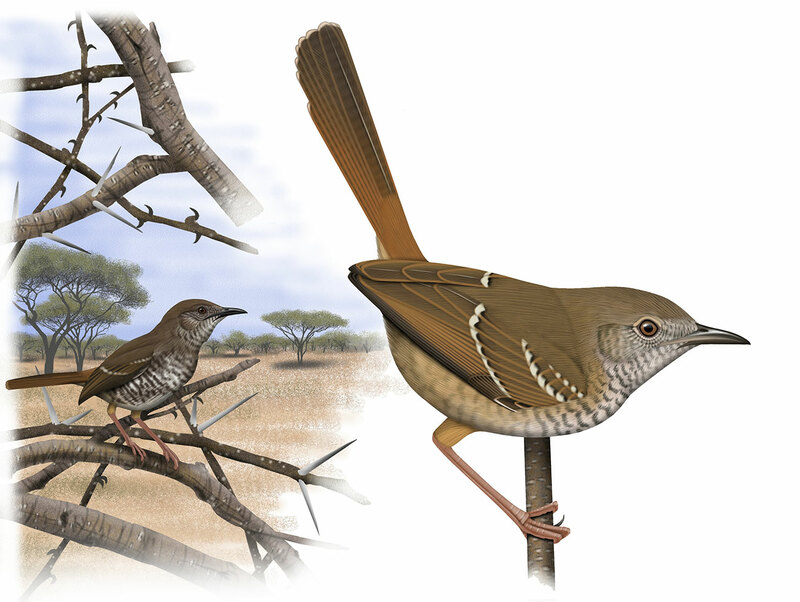 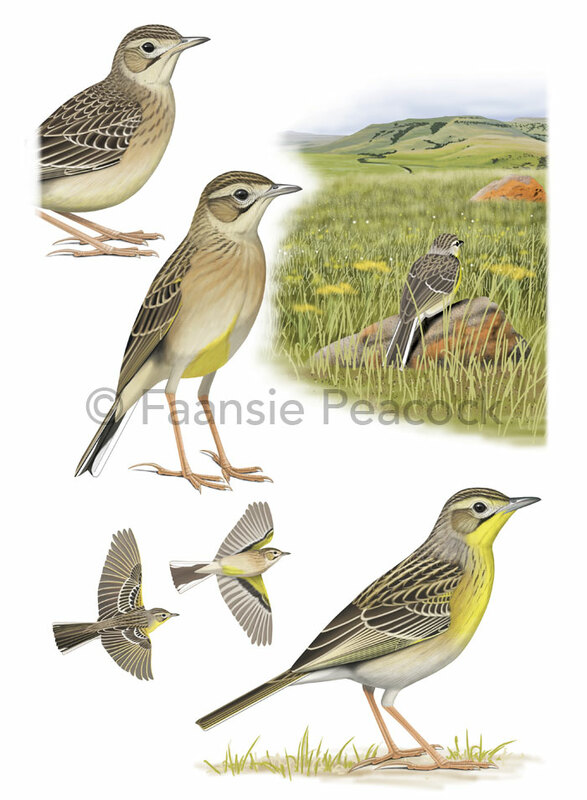 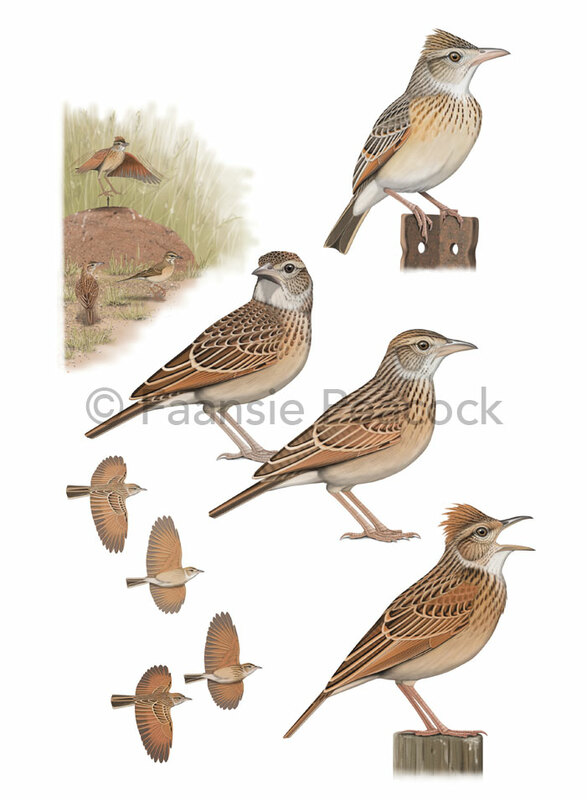 The main illustration shows a non-breeding adult, whereas the thumbnail illustration shows a breeding male (recognisable by its dark chest band). 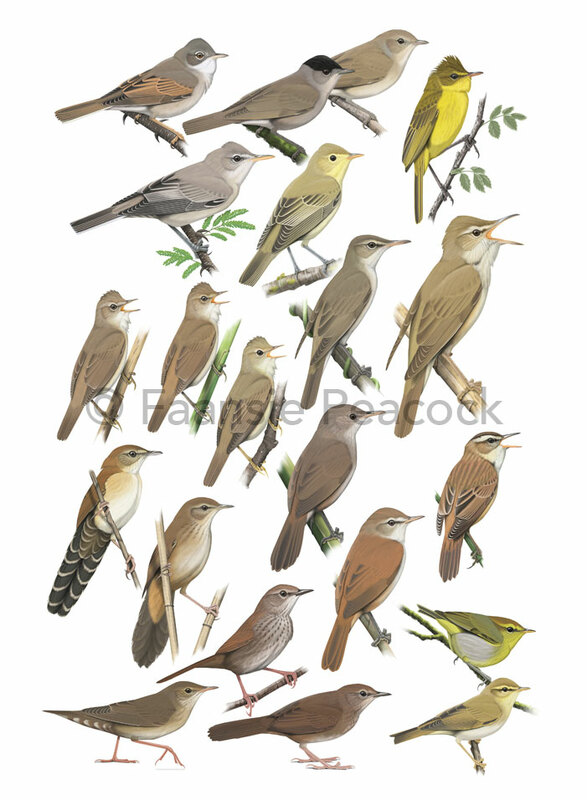 As shown, the species is often found in dry thickets of Vachellia tortilis (previously Acacia tortilis).